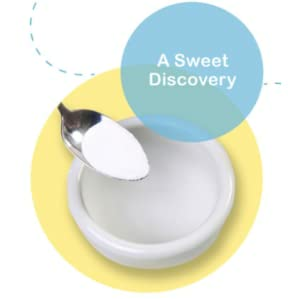 - PURE SWEETNESS: Splenda No Calorie Sweetener tastes like sugar because it's made from sugar. One packet of Splenda No Calorie Sweetener is equal to the sweetness of two teaspoons of sugar. It's a no-calorie way to add a little bit of sweetness to your day. - SUGAR FREE ALTERNATIVE: At zero calories and less than 1g of carbohydrates, Splenda No Calorie Sweetener is the guilt-free sweetness you've been looking for. Use it in place of sugar in your coffee, tea, cereal, fresh fruit, or even in your pancake syrup! - MADE FROM SUGAR: You have so many options for sugar alternatives: stevia, monkfruit, xylitol, erythritol, aspartame, sucralose, yacon syrup & so many more. Splenda No Calorie Sweetener is made from sugar, so it tastes more like real sugar than the others. 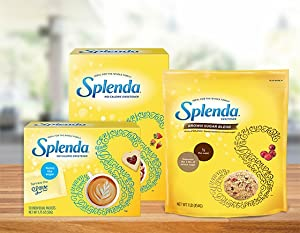 - SWEETEN YOUR LIFE: Splenda can be used where you would normally use sugar to sweeten coffee, hot tea, iced tea, iced coffee, lattes, chai, oatmeal, malt-o-meal, cereal, grapefruit, strawberries, raspberries, blackberries, pears, peaches, and so much more! - NOTHING COMPARES TO SPLENDA: Compare Splenda No Calorie Sweetener with Lakanto, Truvia, Sweet 'N Low, Anthony's, Now Foods, Pyure, Swerve, Equal, Hermesetas, SoNourished, SweetLeaf, Whole Earth, Wholesome Sweeteners, Zsweet, NatraSweet, Organic Pure Monk. Now Available in Bulk Size – 1000ct Packets! Share the Sweetness! SPLENDA No Calorie Sweetener is the ideal zero-calorie sweetener choice for the whole family! Enjoy the taste of sugar from this zero-calorie sweetener made by America’s best-selling sweetener brand1 to sweeten your day. With this 1000ct bulk box, you can keep your office break room’s coffee station and home pantry shelf well stocked with SPLENDA No Calorie Sweetener packets to keep everyone happy! SPLENDA No Calorie Sweetener packets are suitable for anyone wanting a sugar-free sweetener in their diet, diabetes management, and weight management. Use SPLENDA No Calorie Sweetener in your favorite recipes when cooking or baking, or use it to sweeten your daily iced or hot beverages. It’s a sweet, safe option for individuals, families, and colleagues! Use a packet of SPLENDA No Calorie Sweetener in place of sugar and save yourself 28 calories each time you do this! This means that in a year, you can save yourself over 30,660 calories, or lose about nine (9) pounds a year with making simple swaps three times a day! Now that’s easy! With SPLENDA No Calorie Sweetener, you can cut back on sugar while still enjoying a sweet taste in all your drinks, foods, and baked goods. 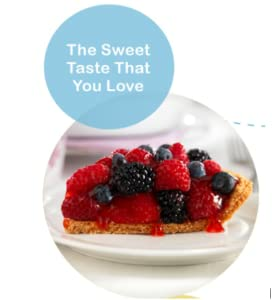 You can use SPLENDA No Calorie Sweetener in all of your favorite cooking and baking recipes. Simply swap SPLENDA for sugar - it swaps 1:1, and reduce unwanted calories from added sugar in all kinds of homemade meals and drinks. 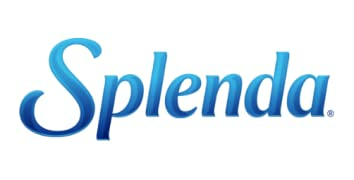 Why Choose SPLENDA Brand No Calorie Sweeter?